My husband and I will be retiring soon and are thinking of using the 4% rule to draw income from our retirement portfolio. We don’t want to run out of money, but we also don’t want to spend too little. Is there some sort of “reset” we should do periodically to ensure we don’t end up with too little or too much money later in retirement? You raise an important, but often overlooked, issue when it comes to the 4% rule, or for that matter any withdrawal system designed to turn savings into reliable retirement income—namely, that the goal isn’t just to make sure your nest egg lasts as long as you do, but also to avoid withdrawing so little to conserve assets that you live unnecessarily frugally in retirement. But before I get to what you can do to strike a balance between withdrawing too much or too little, I want to quickly explain for the benefit of people who may not be familiar with the 4% rule, how it works and why, despite its name, you should think of this metric more as a general guideline than a hard-and-fast rule. 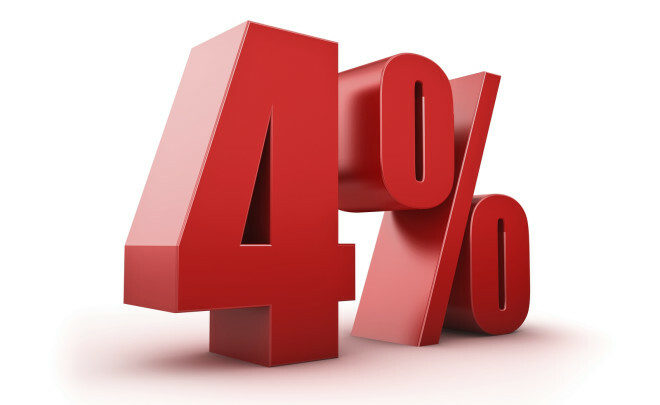 The basic mechanics of the 4% rule are pretty simple. You start with an initial withdrawal of 4% of savings and then increase the dollar amount of that first withdrawal by inflation each year to maintain purchasing power. So, for example, if you have a nest egg of $500,000 and inflation is running at 2% a year, you would withdraw $20,000 the first year of retirement, $20,400 the second year, $20,800 the third and so on. This regimen results from research done in the early 1990s by now retired financial planner William Bengen. After testing different withdrawal rates using historical rates of return for stocks and bonds, Bengen concluded that 4% was the highest withdrawal rate you could use if you want your savings to last 30 or more years. Some experts have suggested, however, that a 4% withdrawal rate might be too ambitious given today’s low bond yields and lower projected returns for stocks. 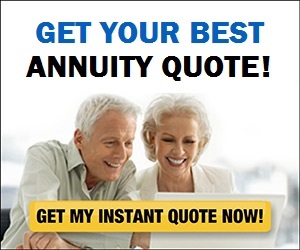 For example, Wade Pfau, a professor of retirement income at The American College, says that retirees should probably limit themselves to an initial withdrawal rate of 3% or so if they want a high level of assurance (although not a guarantee) that their savings will support them for at least 30 years. For more on how much lifetime income one can expect to get through inflation-adjusted withdrawals, income annuities and other methods of creating income based on current market conditions, you can check out Pfau’s Retirement Income Dashboard. Shifting to a lower withdrawal rate sounds reasonable enough. After all, if investment returns are expected to come in lower than in the past, withdrawing less would seem a necessity. But that’s not necessarily the case. Financial planner Michael Kitces notes that this is hardly the first time that retirees have faced challenging financial markets, including long periods where bond yields have been low and the stock market has stagnated or gone into a prolonged slump. Yet he points out in his influential Nerd’s Eye View blog that there never been a 30-year period over the past 150 years when someone following the 4% rule would have run out of money. Indeed, he notes that about two thirds of the time someone would have ended up with more than double their original principal after 30 years. The takeaway from all of this is that no withdrawal rate can protect you against the risk of running out of money without also leaving you open to the risk of ending up with more savings than you need late in life, along with regrets you could have lived larger earlier in retirement. Which means the key to balancing the risk of spending too much against the risk of spending too little is to start with a reasonable withdrawal rate that has a decent chance of making your money last—and then make adjustments, or resets, along the way. Reasonable is a subjective term, but I’d say an initial withdrawal rate in the range of 3% to 4% qualifies. As a practical matter, I expect most people will gravitate toward the upper end of that range if only because the vast majority of retirees will have a hard time getting by on a 3% withdrawal (just $15,000 from a $500,000 nest egg). Indeed, many, if not most, retirees may find a 4% initial withdrawal pretty restrictive as well. You can always start with a higher rate, say, 4.5% to 5%, if you feel you must. But be aware that the chances of running through your savings prematurely rise sharply once you start going beyond 4%. After you’ve settled on a withdrawal rate you’re comfortable with, the idea is to make gradual adjustments rather than having to slash your spending because your nest egg’s value has declined precipitously or ramp up withdrawals because your savings balance has ballooned. So, for example, if the combination of withdrawals from your nest egg plus lousy investment performance puts a big dent in your savings balance, you might forgo an inflation increase for a year or two or even scale back your withdrawals. If, on the other hand, robust returns cause your nest egg’s value to soar, you might use that as an opportunity to spend more liberally. What Size Nest Egg Do You Need To Support You In Retirement? To get an idea of whether you need to adjust your withdrawals—and if so, by how much—you can go to every year or so to T. Rowe Price’s Retirement Income Calculator. Just enter such information as your age, current savings balance, how your money is invested and how much you plan to spend this year. The calculator will then estimate the chances that your savings will last throughout retirement if you continue pulling money out at that rate. Based on that assessment, you can decide whether to go with your planned withdrawal or raise or lower it. The American Institute for Economic Research’s Retirement Withdrawal Calculator can help you do much the same thing. Another possibility is to adjust your withdrawals by following a “rules-based withdrawal system.” For example, in a paper titled “A More Dynamic Approach To Spending For Investors in Retirement,” Vanguard outlines a “ceiling and floor system.” You begin with an initial level of spending and then, depending on how much your nest egg’s value increases or decreases, adjust withdrawals up or down within bounds you set, say, reducing the current year’s withdrawal by no more than 2.5% from the previous year’s withdrawal and increasing it by no more than 5%. Financial planner Jonathan Guyton and software developer William Klinger proposed a somewhat similar, although far more complicated, system in a research study titled Decision Rules and Maximum Initial Withdrawal Rates. The idea here is to allow for a somewhat higher initial withdrawal rate by following detailed “prosperity” and “capital preservation” rules that allow withdrawals to rise or fall within certain limits.